As well as being the most commonly found hob in homes around the UK, gas hobs are also the clear choice for professionals. The combination of instant heat, precise temperature adjustment and a sturdy cooking surface make them a staple in many of our homes. With gas, you are able to see the flame and so there is little chance of you accidentally placing something directly onto the heat source unless you mean to. In addition, if there are any problems with a pan boiling over or something burning, the heat can be turned off immediately without the need to remove the pan from the hob completely. 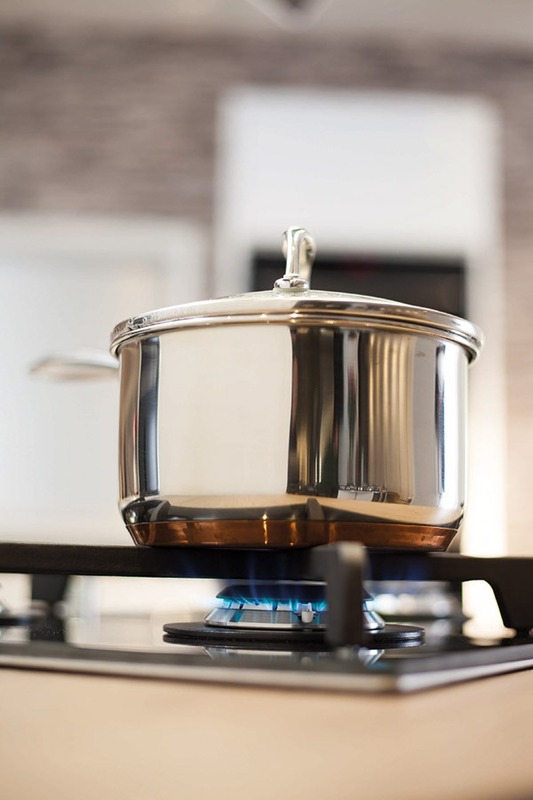 Gas hobs are not considered the most energy efficient type of cooking appliance when compared with their electric counterparts. 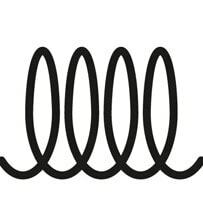 However, due to the controllability of the flame, you are able to adjust the power to suit the pan size you are using and thereby waste less energy. Although gas hobs do not benefit from the easy clean glass surface of a ceramic or induction model, the pan supports are easy removed for cleaning and the enamel supports are even dish-washable. 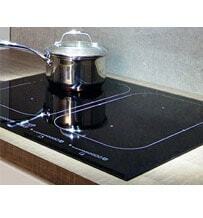 Gas hobs are affordable, practical and easy to use with quick heat up and cool down times. 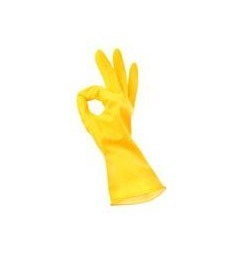 Some users may find them a little fiddly to clean when removing pan supports, burner caps etc. but this should not put you off if you are looking for a professional finish to your kitchen. Take into account the size of pans that you regularly use as this will have an impact on the burner sizes that you opt for. Many of our models now offer an extra-large wok burner for maximum power output. Without doubt, the induction hob is by far the most efficient. Using induction technology it only uses the energy required to heat up the pan and not the whole zone. 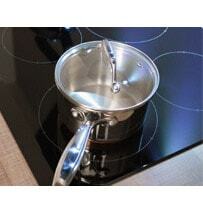 With correctly adjusted flame sizes, the gas hob is next on the list of efficient hob types. However, used incorrectly with a full power flame blasting heat around the edges of the pan will waste a lot of energy and hot air. Ceramics are next on the efficiency scale with power used to heat up the whole zone. Finally, the solid plate hob with thick cooking plates to heat up is the least energy efficient. 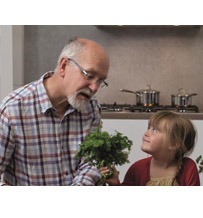 We recommend your appliance is only installed by a registered Gas Safe fitter. Undoubtedly the induction hob is the fastest to bring a pan to the boil, with gas a close second. The ceramic and then solid plate hobs are the slowest to heat up and least responsive to cool down when things boil over. 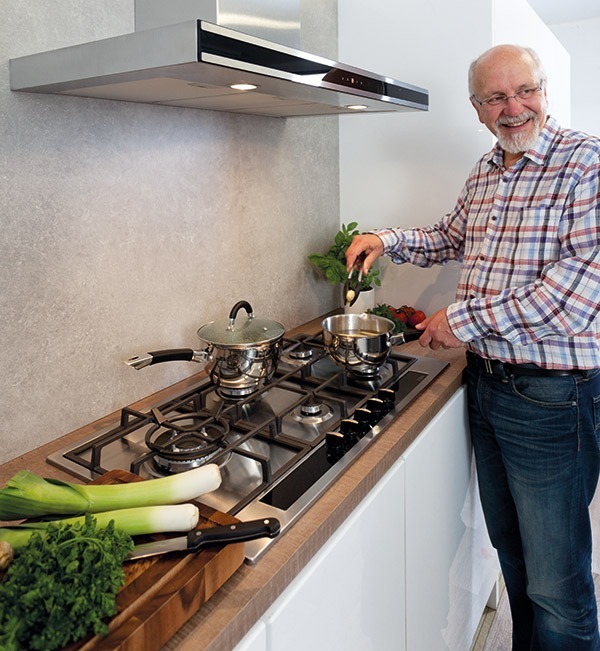 The temperature on an induction hob can be adjusted almost as quickly as on a gas hob to reduce a boil to a simmer but gas is certainly the fastest to cool down overall.